The trailer also showcases some of the classic hero units available. Sadly, those are limited to the non-co-op mode. There's been a lot of talk about how Star Wars Battlefront is a "couch co-op game." And that's not entirely inaccurate. There is a co-op mode where you and a pal play as rebels, fighting off hordes of troopers and some AT-STs in a survival mode. We've written about it before. On consoles, it's a "couch co-op" game, since you can play it splitscreen with a buddy. The PC version doesn't have splitscreen, so unless you both happen to have your PC's on a table in front of your couch (which, seems less than comfortable, but possible) it's just straight up co-op. 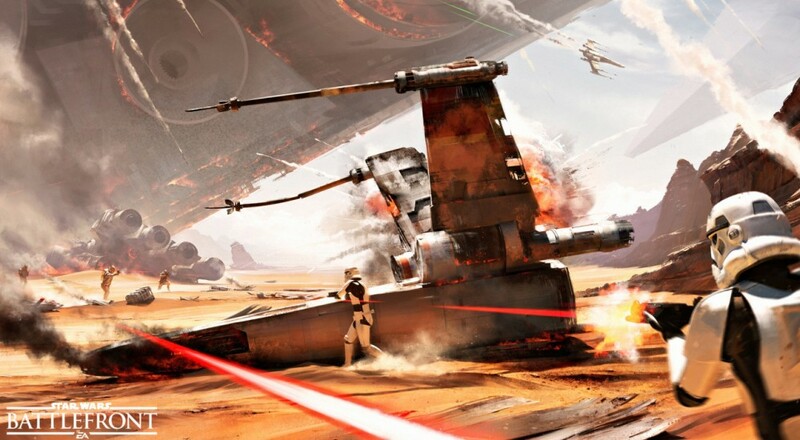 We're still showcasing Star Wars Battlefront, because the "Survival Mode" does look like a ton of fun. It might not be the main feature of the game, but I'm certain at least of few of us will bank a few hours into it. For that reason, we're looking forward to November 17th.